Watch for our new look that will be launching soon! Busy season is upon us. Plus we are revamping inventory. Items will be back online soon. Chainmaille Classes, Trading, Nerdy Bonding and More. . . .
cash bar, buy from local vendors, and meet some amazing people in the industry! On Target Accessories is pleased to announce that our jewelry will be available at Gallery On The Square, 51 South Washington Street, Danville, Indiana! Stop by and see art work from 25 plus artist with most of them being from Central Indiana. Check out their Facebook page for hours and special events. 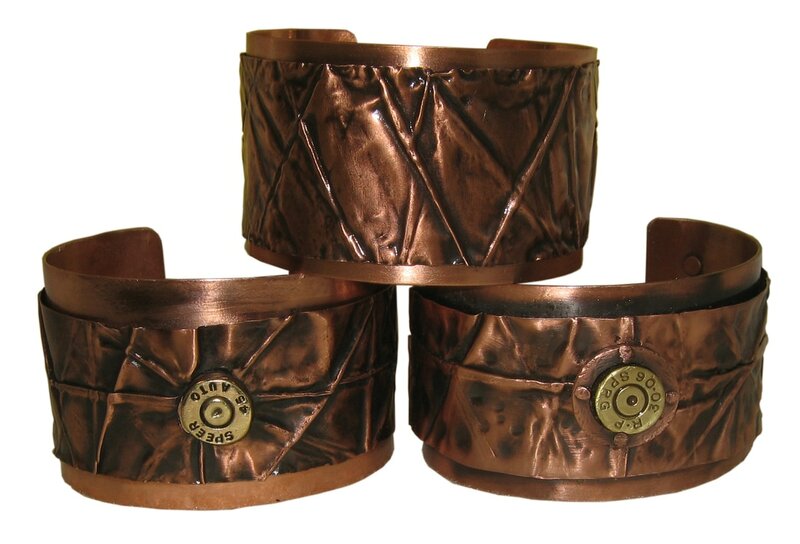 One of a kind, Fold Formed Copper Bracelets! Each bracelet will be custom made for your wrist. Our vision is to let people make a powerful but subtle statement with the type of accessories and jewelry they choose to use. We are always adding items and updating our line of jewelry. We also have a selection of home decor for you to choose from. We are always adding more, so click on the button to the right and please fill out them form. We will keep you updated via email or new offerings, discounts, closeouts, events, etc. Follow us on Facebook, ﻿﻿Twitter﻿﻿ and Pinterest. Click on the button to the right to sign up for the Newsletter.